I’m very lucky and proud to have such a diverse and deep talent pool of world-class musicians at Tyson Tone Lab. 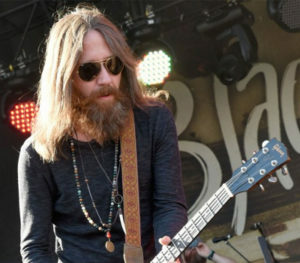 Charlie is the frontman Southern Rock quintet Blackberry Smoke. The band has toured with and befriended idols such as The Marshall Tucker Band, ZZ Top, Lynyrd Skynyrd and George Jones. Charlie Starr’s gear includes choice vintage and boutique guitars. 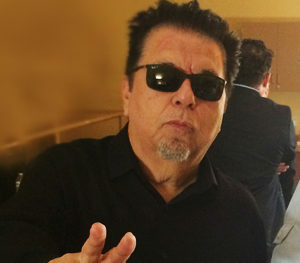 Guitarist, singer, and songwriter Cesar Rosas is a key member of Los Lobos. 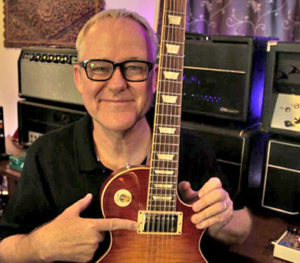 Tim was named as one of the Top 10 Session Guitarists by Guitar World Magazine. Tim works every day as a Session Guitarist and gets hired by Producers, Composers and Songwriters from all over the world. His Session Guitar Work can be heard on more than 1000 records and his studio Guitar Recording Credits include: Crowded House, Tracy Chapman, Joe Cocker, Rod Stewart, Elton John, Michael Jackson, Bruce Springsteen, Rick Springfield, Phil Collins, Don Henley, Santana, Rascal Flatts, Chris Isaak and many others. Be sure to check out his lessons on YouTube. 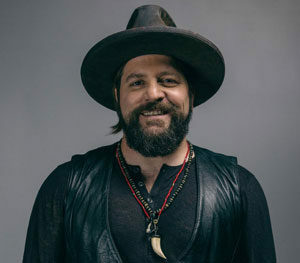 Coy Bowles is a member of the 3 time Grammy award winning “Zac Brown Band”. He also has his own solo band “Coy Bowles and The Fellowship”. Coy is a multi-instrumentalist with his major focuses being guitar,slide guitar, and Hammond Organ. Coy has made Atlanta home for the last 15 years with Thomaston, Georgia being where he was born and raised. Coy focuses on songwriting just as much as performing. Coy helped write the number one Zac Brown Band songs “Colder Weather and Knee Deep”. Coy is in constant search of a better tonal way to express himself musically. 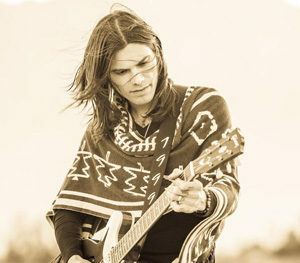 Nick Perri is an American guitarist, songwriter, and producer, who most notable original projects include Silvertide and The Underground Thieves. Nick has also played guitar and wrote for superstar artists Perry Farrell, sister Christina Perri, Matt Sorum, Jimmy Gnecco, and many others. Matthew Stubbs & The Antiguas, an all original, instrumental psych rock project focused on the song, and the vibe and energy of live performance and sound experimentation. He has brought back the lost art of popular instrumental music, combining the spirit of past instrumental giants like Duane Eddy, Link Wray and Booker T, with fuzz, psychedelic textures, and doses of garage rock, blues, afrobeat, cinematic and atmospheric soundscapes. The Antiguas live shows are accompanied by psychedelic visual projections to create an immersive experience for the audience. 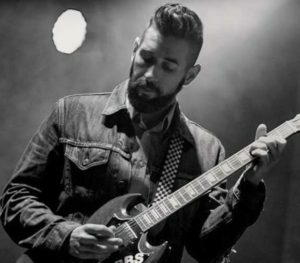 Matt has a strong guitar pedigree, serving as the guitarist for Grammy Award winning Blues legend Charlie Musselwhite since 2007. 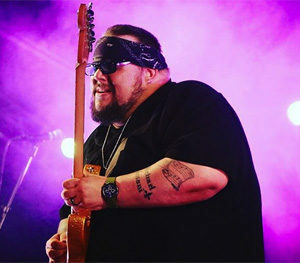 Jon is a very serious traditional blues musician and producer who has played with, and recorded, some of the greatest blues musicians on the planet. “Authentic” would be an understatement. Over the course of Gino’s career, he has worked with artists such as B.B. King, John Mayer, Hubert Sumlin, John Fogerty, Robert Randolph & The Family Band, The Blind Boys of Alabama, Jonny Lang, Robert Cray, Buddy Guy, and the list goes on. Gino Matteo loves what he does for a living and will continue to inspire and grasp audiences with his truthful and soulful stories. And he will do so with a smile. Brett, AKA Burgs, is a professional guitarist, based in Melbourne, Australia. He has toured the world supporting acts such as Tina Turner and Robert Palmer and is also a well known identity at international music trade shows such as NAMM and Musikmesse. Some 1500 videos and over 22 million hits later, the “Brett Kingman” YouTube channel is now acknowledged as one of the best of its kind in the world. 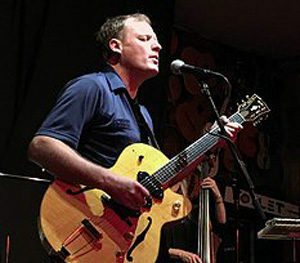 Kyle Jester is one of the most talented and remarkable figures of the new generation of Bay Area based blues artists. 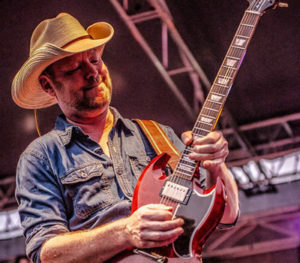 He is equally strong as a singer and guitarist, pairing a golden-toned soulful raspy voice with a stinging, energetic lowdown blues approach to his guitar playing. Kyle brings a spirited, youthful vibe to the old school Blues and Rock’n’Roll music he serves up. He played and toured with the bands of Candye Kane, Earl Thomas and Freddie Brooks before branching out on his own.